Come join us for the first annual Twin Cities Literary Awards & Book Expo! The opportunity for Authors and Readers to interact and enjoy Literature!! 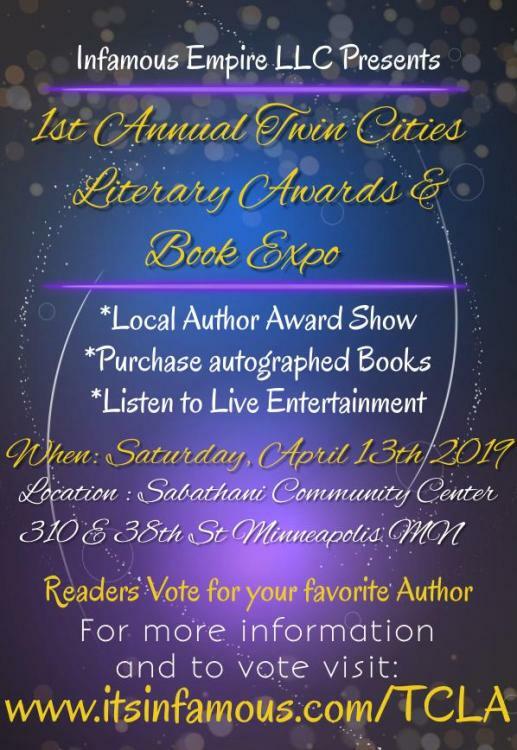 Nominate your favorite Author for an Award. It's time to recognize AUTHORS! !